Announcing Minister Ronald Dodson, Sr.
DODSON APPOINTED AS NEW CAMPUS PASTOR, CELEBRATE RECOVERY, AT INFINITE GRACE FELLOWSHIP. 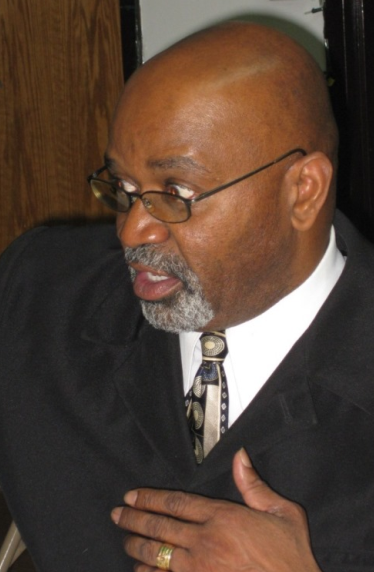 Minister Ronald S. Dodson Sr. has been appointed as campus pastor of the Celebrate Recovery Ministry at Infinite Grace Fellowship by resident Bishop Marcus Matthews of the Baltimore-Washington Conference. Min. Ronald S. Dodson Sr. began his appointment on July 1. The church is located at 5130 Greenwich in Baltimore, on the city’s historic “40 West” corridor. Minister Dodson is a native of Baltimore MD. Min. Dodson started his career after attending Hampton University with the United States Air Force retiring in 1998. He is currently employed with the United States Postal Service working in Human Resources. Prior to his appointment, Minister Dodson served the Mt. Winans UMC congregation for 19 years under the leadership of some awesome Elders. During that time he served in many capacities some of which were, as musician and choir director, chaperone to ROCK, Lay Minister, and Lay Leader. He is a member of the first graduating class in 2009 for Certified Lay Ministers for the Baltimore Washington Conference. The Dodson’s also conducted bible studies and a couple’s ministry “Making Love Last A Life Time”. Dodson is married to Lay Minister Donna Dodson and they have three children Deena, Dana, and Ronald Jr., two son-in-laws Quinn Sr., and Joshua Sr. and two grandsons Quinn Jr. and Joshua Jr. The Rev. 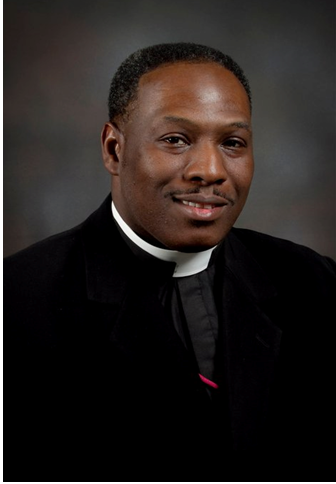 Armon Chadell Nelson has been appointed as campus pastor of the West Baltimore United Methodist Church by resident Bishop Marcus Matthews of the Baltimore-Washington Conference. Rev. Armon C. Nelson began his pastoral duties at West Baltimore July 1. The church is located at 5130 Greenwich in Baltimore, on the city’s historic “40 West” corridor. Rev. Nelson, a native of Flint, MI later moved to Nashville, TN. Rev. Nelson started his career in law enforcement in which he advanced through the ranks of Lieutenant. Rev. Nelson made a life changing decision step out on faith and took an early retirement from the Nashville Metropolitan Police Department to continue his education at Wesley Seminary. Nelson is married to Evangelist LaTaska Nelson and they have three grown daughters. His educational background includes degrees in Leadership and Ministry from the Williamson Christian College and BA in Bible and Theology from the American Baptist College, Nashville TN. Armon is currently a student of Wesley Theological Seminary, Washington DC. Compassion starts with asking questions because you care. Lord allow me to care more and slow down to enough to be in relationship with your my homeless neighbors.